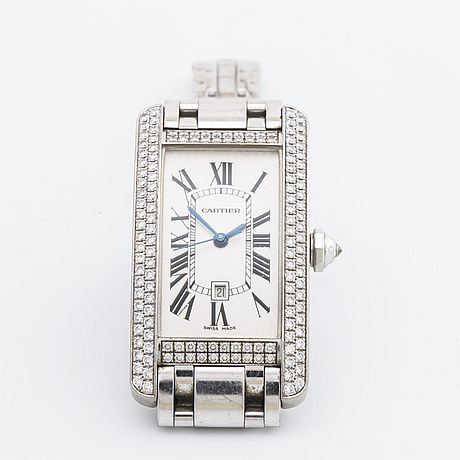 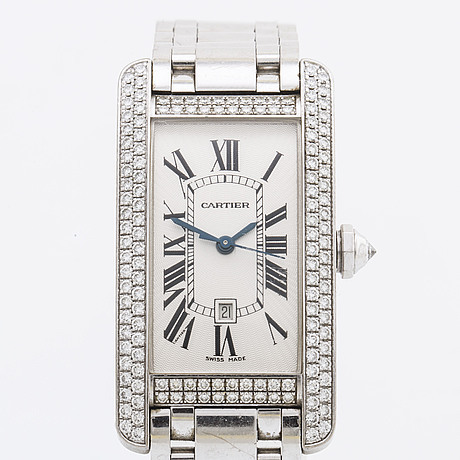 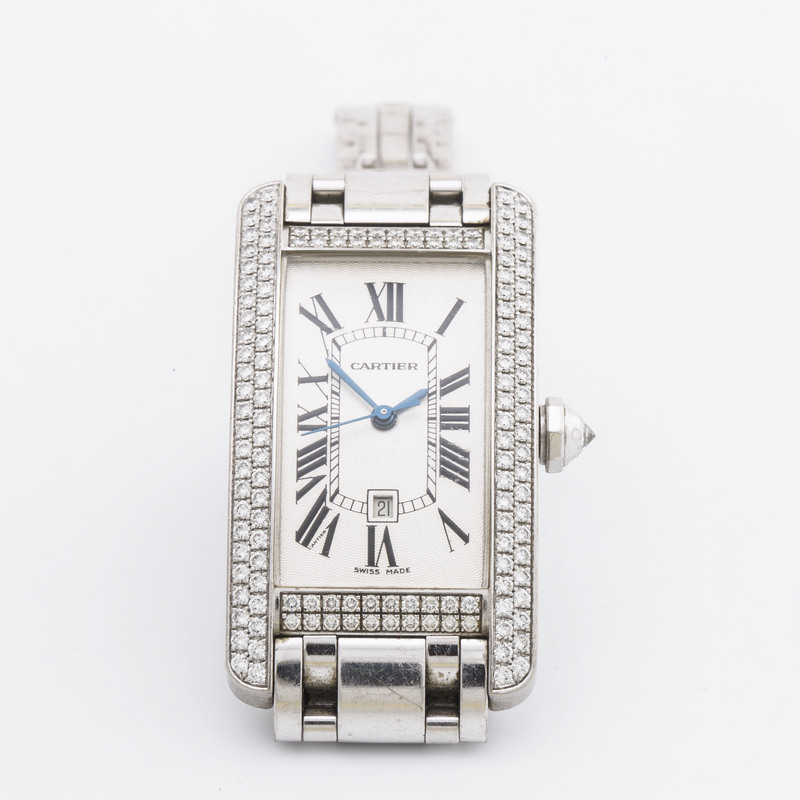 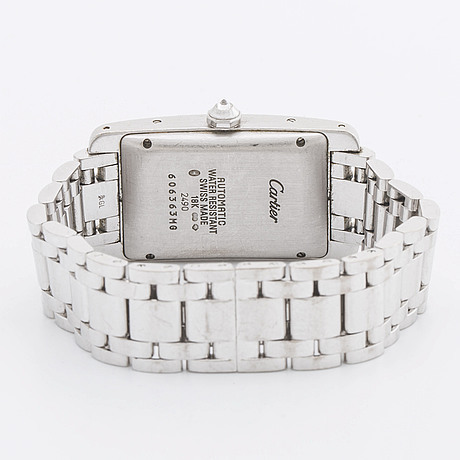 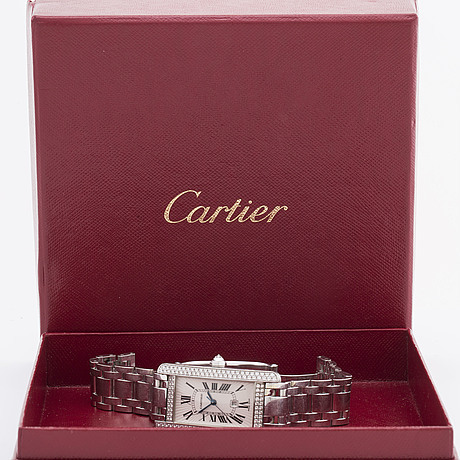 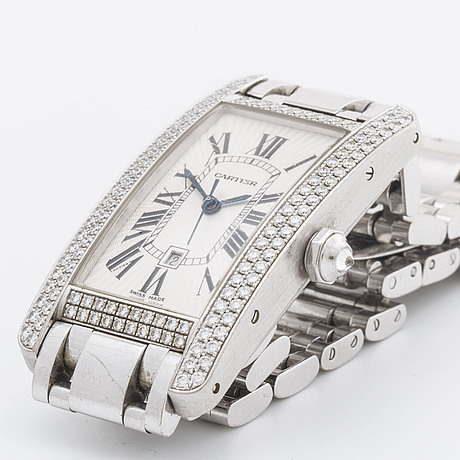 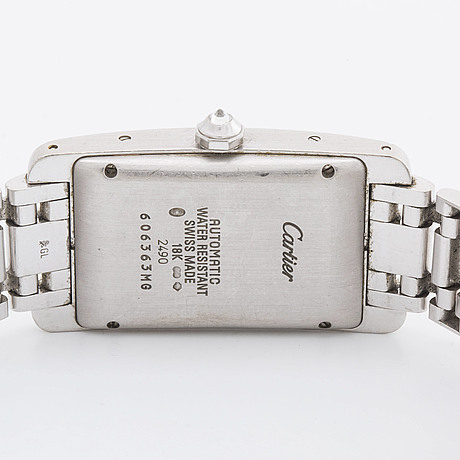 CARTIER Tank Américaine, 18K whitegold w brilliant-cut diamonds approx 1,5 ct, 41,6 x 22,6 mm, mechanical movement. 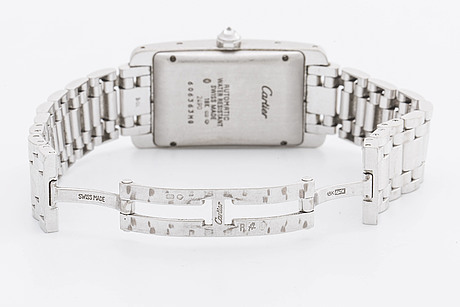 Case no 2490, 606363MG, calendar aperture at 6 o´clock. 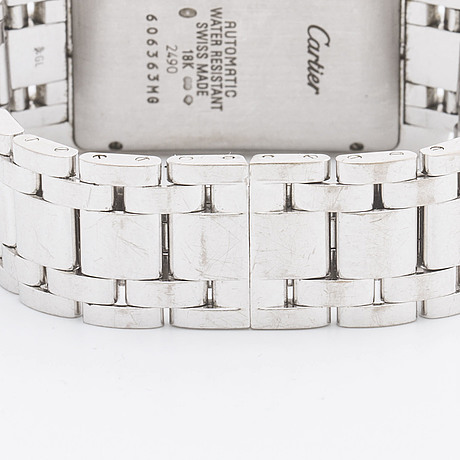 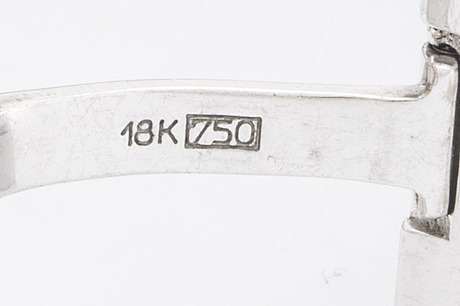 Automatic winding.